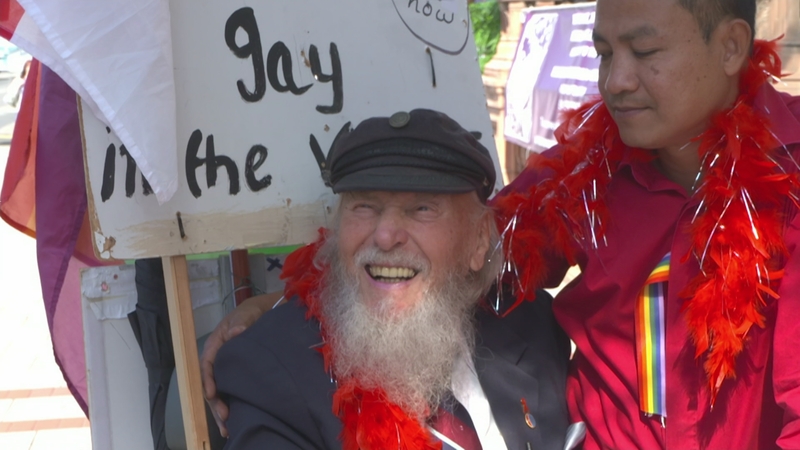 It’s been a long struggle for equality: and even now – as yesterday’s row over the National Trust’s gay pride campaign shows – some from the older generations still aren’t ready to embrace LGBT rights. Not 94-year-old George Montague though. He calls himself the oldest gay in the village. For decades – he lived a lie, hiding his sexuality until he was prosecuted under historic anti-gay laws. Even after all this time he’s still waiting for an official government apology. Kiran Moodley went to meet him at Brighton Pride.